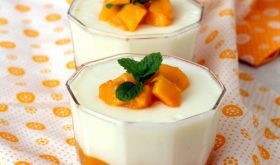 Mango Panna Cotta ~ a simple, light and creamy dessert! The ‘king of fruits’ is reigning high this summer in our local rhythu bazaar (farmer’s market) and the varieties available seem endless. I have had my fair share of mangoes in its pure form this season. Recently, I got down to incorporating it into an elegant Italian dessert, Panna Cotta (meaning’cooked cream’ in Italian). 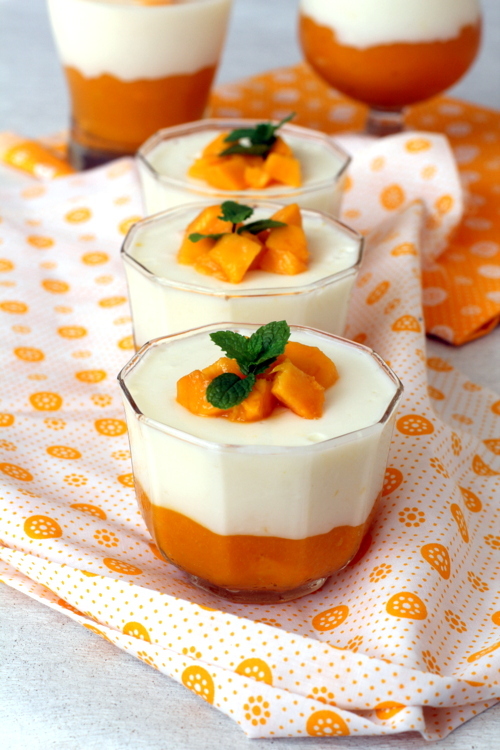 The luscious tropical flavor of ripe mangoes pairs beautifully with soft and creamy Panna Cotta. By Sailu Published: June 5, 2013 Mango Panna Cotta is a classic among mango dessert recipes. 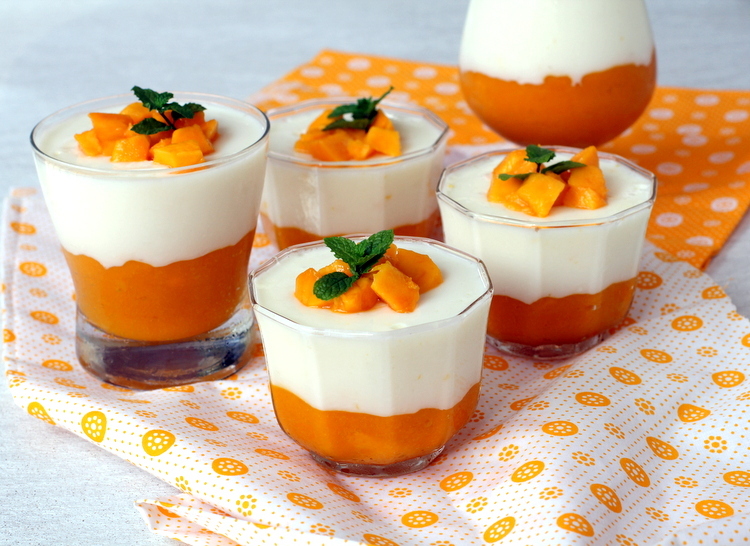 The tropical flavor of ripe mangoes pair beautifully with soft and creamy Panna Cotta. This looks absolutely divine! I must make this very very soon. Yes, you can. Adjust sugar according to the sweetness of the pulp. Hi…this looks absolutely delicious n I’m gonna make it today. Wanna know if I use gelatin, do I have to warm the gelatin mixture too after soaking it in cold water…as explained in step 5? Or do I add the cold mixture itself to milk-cream mixture. One more thing…do I have to cool the cream mixture before adding gelatin mixture?? Please reply…n thanks!!! I love panna cotta. So definitely will try this. As per ur recipe mango coulis is the base A cocern here. Milk nd cream mixture is heavy. It will not set on the coulis. Please advise thesolution urgently. Hi Sailu, Panna Cotta is my favorite too. I tried making vanilla panna cotta using China Grass. Each time it haven’t set. I wasnt sure what mistake I was making. I was trying with 1/2 cup of Cream(25%) + 1/2 cup of Full fat milk + 2 tsp of agar agar powder dissolved in 3-4 tbsp of warm water. Any guesses whats being wrong here. Tried it. Wonderful. Kids loved it. my wife loved it. 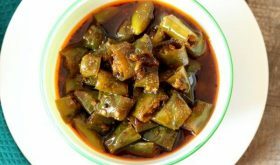 Other dinner guests (ladies) loved it and asked me the recipe. I did not tell them. I emailed them your website later. In US it may be a lot easier to make it. For mango coulis, I used the canned mango pulp, available in any indian store. For pannacotta, I used heavy cream and a pack of gelatin. I presented the dessert in a wine glass. The prep time is less than 15 mts.